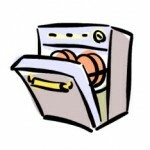 Broken Dishwasher, Tumble Dryer, Washing Machine or Fridge? Washing machine taking too long to complete a cycle? Is your fridge just not working as well as it used to? Is your dishwasher not cleaning as well as it used to? If you have any problems with home appliances like dishwashers, cookers, hobs, fridge freeezers, washing machines, tumble dryers or storage heaters then you’re in luck because FixMyAppliance are available to help you. 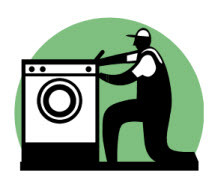 At FixMyAppliance.ie we provide a fast, professional and cost effective appliance repair and maintenance service for people living in Waterford city and the surrounding areas for customers having problems with domestic appliances. So if you’re living anywhere in Waterford and you have a broken fridge, washing machine, dishwasher, cooker or freeze we’d be glad to help you out. That’s easy to answer – we have 15 years of experience in the maintenance and repair sector and each one of us is a fully qualified technician. 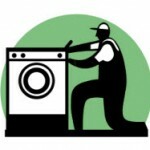 We can work on pretty much any domestic appliance you have regardless of the age or brand name. We also have access to a full range of spare parts for almost every brand of appliance you can think. We’re happy to deal with both domestic and business customers as well as providing our services to property management companies who are dealing with numerous rental properties. Why not call us now on 086-0725730 and discover just how we can help you today?